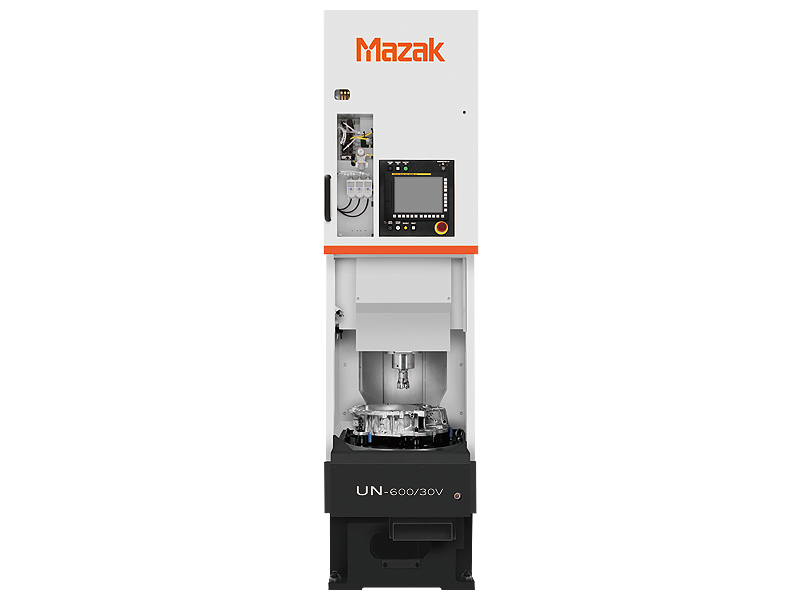 The UN-600/30V ultra narrow Horizontal Machining Center is designed for high volumn applications and is more productive per unit of floor space than conventional machining centers. Multiple machines can be orientated in a line or cell and intergrated with optional Mazak supplied automation for mass production applications. High speed spindles accelerate to top speeds in just 0.55 seconds, and perform synchronized tapping at 8,000 rpm, features that insure maximum productivity.